The app allows you to turn on/off any of the speakers (Base and Satellites). Any speaker can be adjusted separately. 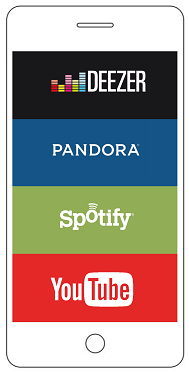 The app allows you to play from Deezer, Pandora, Spotify, etc. Bluetooth® and 3.5 jack line in cable connection are both supported. 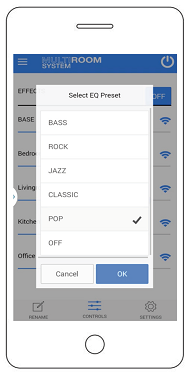 The sound of your music can be set to Bass, Rock, Jazz, Classic, Pop, or back to default. 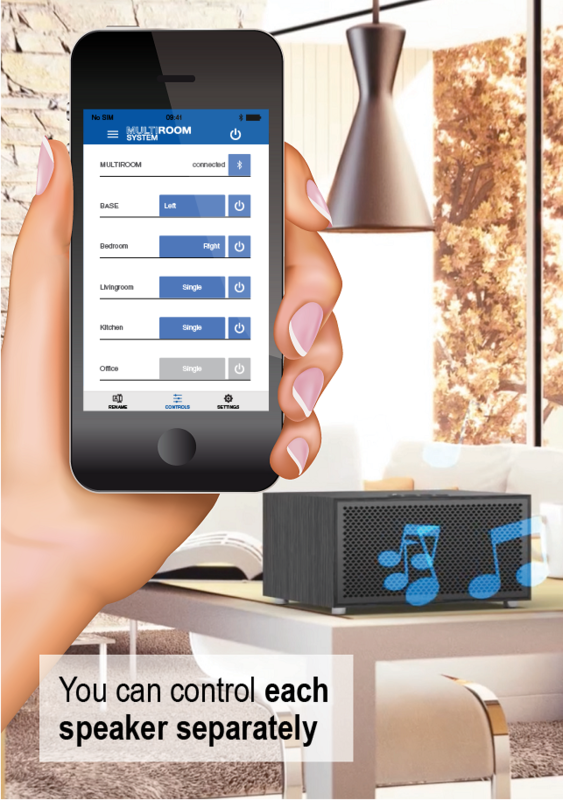 To properly identify the speakers, you can name them according to their location in the house. 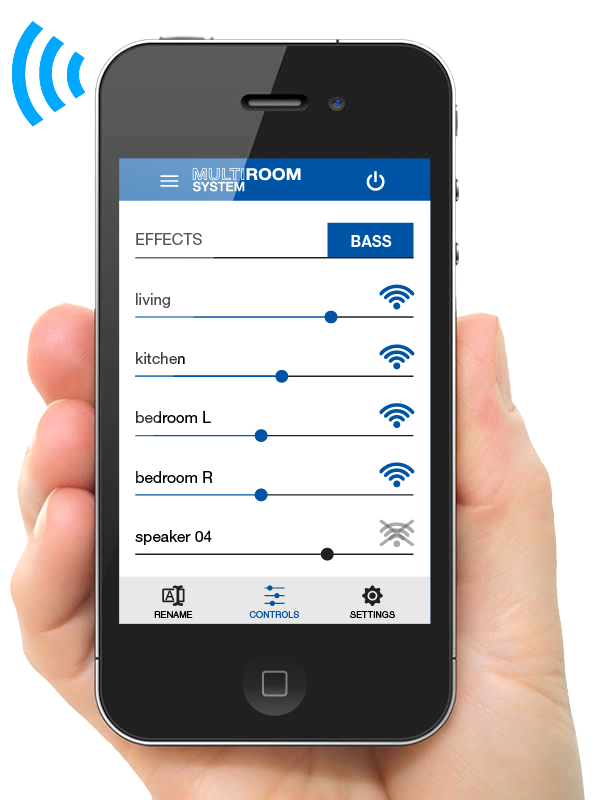 The Multiroom System App allows you to control your Multiroom System. You can adjust the volume of the speakers and various other settings. Easy to control! 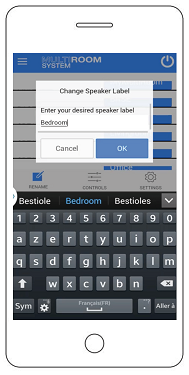 Liberate your listening experience and take back control via a simple downloadable remote app. 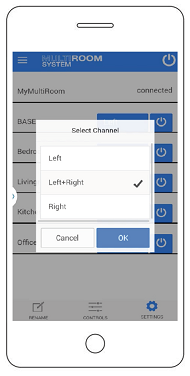 The Quick Start App Manual contains the information on how to set up and use the app.